We won't spoil anything, but there are some interesting glimpses of the main game's storyline during the DLC trailer. build with cutscenes and survivors. 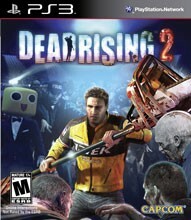 Dead Rising 2's new protagonist dispatches the undead in flourishes of creative carnage. of Capcom’s offices, and we’ve finally gotten the chance to play it.